In addition, wind gusts of 72-75 mph were reported in North Carolina along the coast. 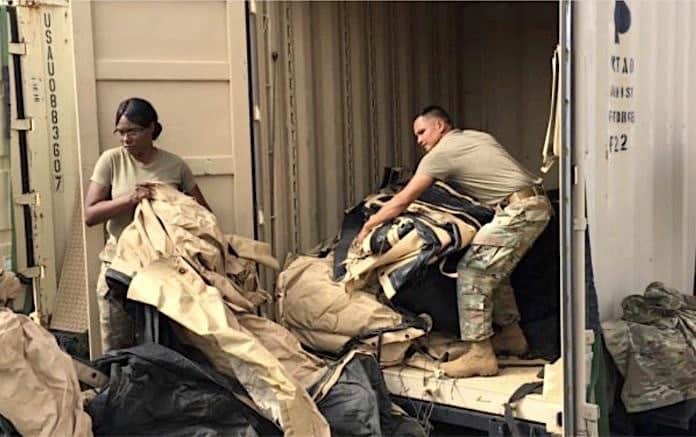 Florence is expected to damage or wreck “thousands of vehicles from high winds and flooding, according to a Cox Automotive report published Tuesday. 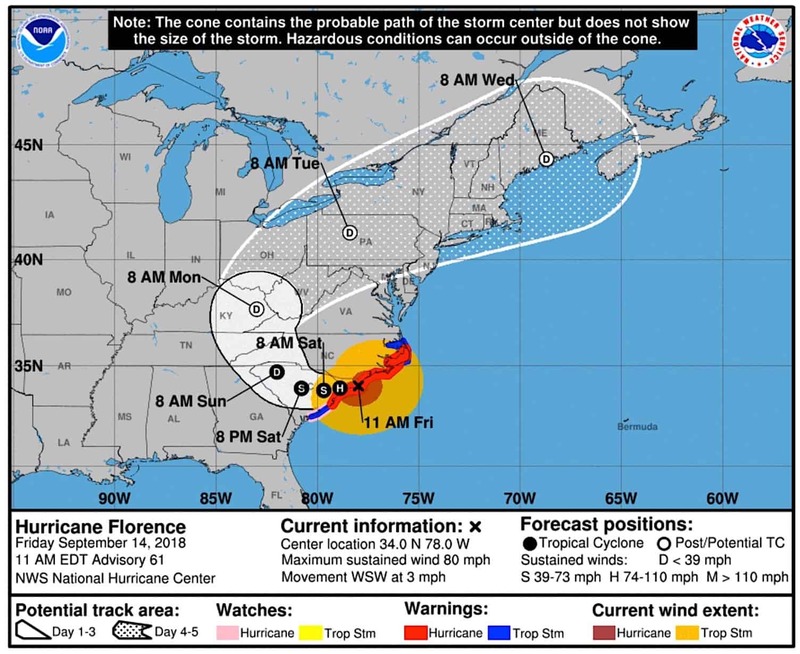 If the Category 4 storm maintains its current path, Cox Automotive said North Carolina could lose 20,000 to 40,000 vehicles,” wrote Matthew Rocco at FOXBusiness on Wednesday. 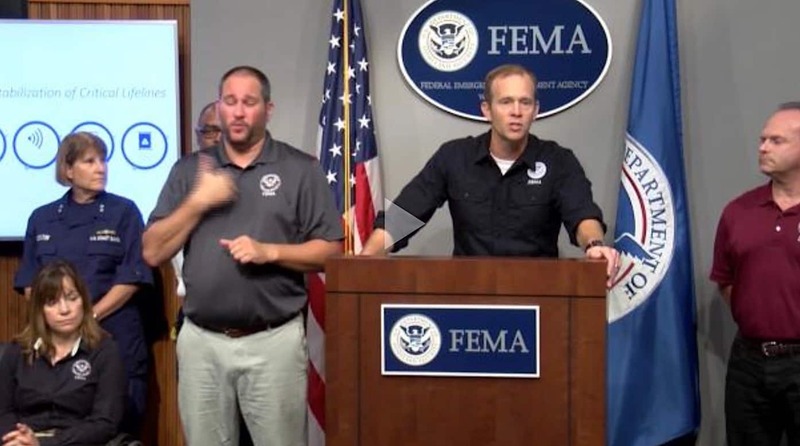 FEMA Administrator Brock Long and federal partners provide an update on Hurricane Florence, Sept. 13. 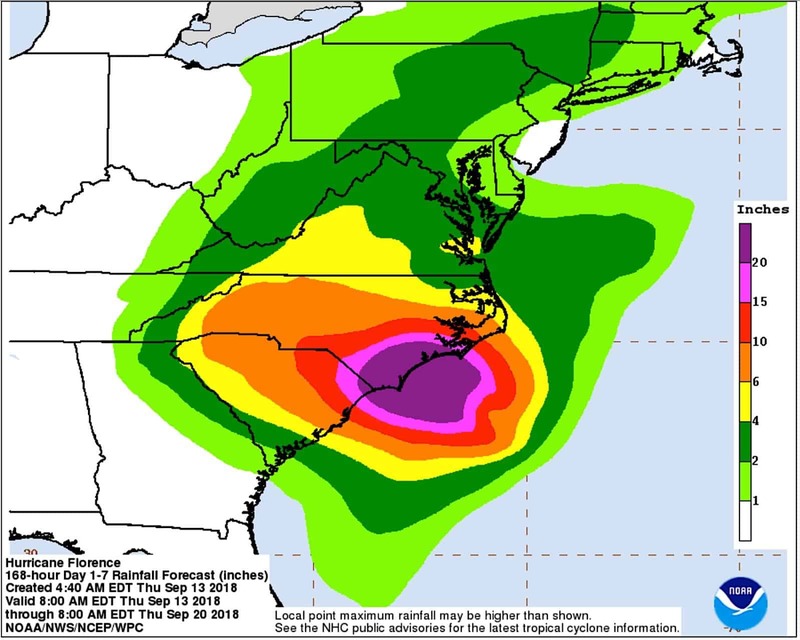 On Friday, the darkest purple represents the heaviest predicted rainfall is 20 inches of rain for North Carolina over the coming 5-day period, in this satellite image shot at 5:07 a.m. EDT, Sept. 14.